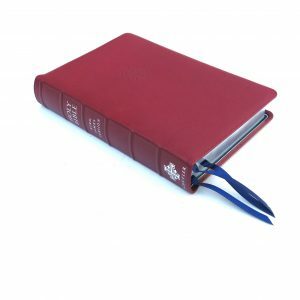 The ESV Quentel is the best all around classic reference ESV on the market. With a clear, bold 11 point Milo font, opaque paper, references, extensive Schuyler maps – this Bible will be a joy to read! The Typesetting design is from Denmark. Printing and binding took place in the Netherlands. Click Here for photos on Facebook. Click Here for Google Photos. The only reason I didn’t give this Bible 5 stars is because of the ribbon finishing. This is my first Schuyler, Schuyler really needs to do better on the ribbons mine were not finished out that well and each one had glue hanging from the ribbon. As far as the paper goes excellent! 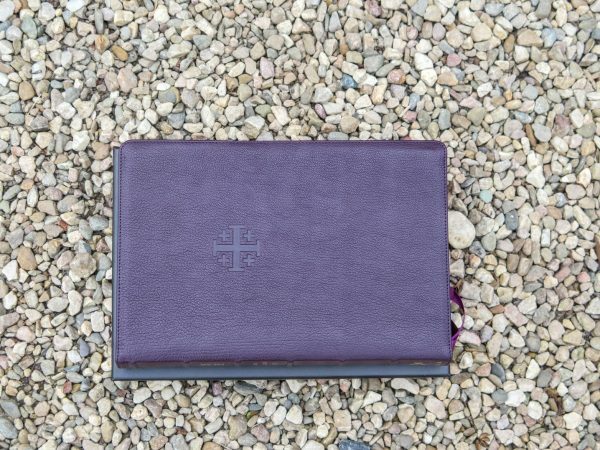 Text block is the best I have ever seen in a Bible very elegant also the dark purple is beautiful! used every day. Love the deep purple color. 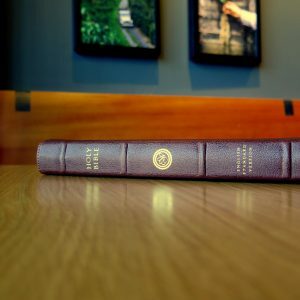 I own all of the ESV Quental Bibles (except British tan) and I can tell you each one is more beautiful than the next. What a great way to honor God’s word. 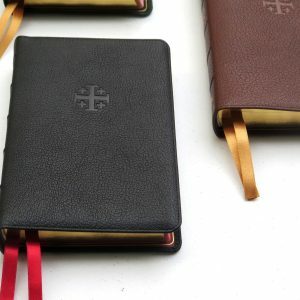 I can’t recommend these Bibles enough. 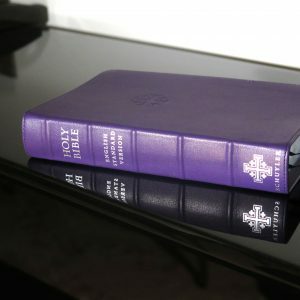 The purple is gorgeous and the Bible is just the right size. I love the fact that it has three ribbons and the pages have just the right thickness and texture. The font size and the maps in the back are excellent. I have owned several Bibles, but I desperately needed one that was symbolic and more dignified, and this totally exceeded my expectations. 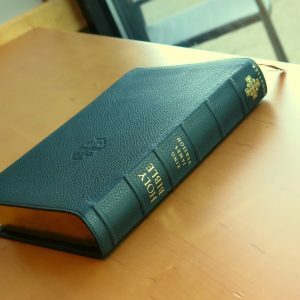 They did a tremendous job with this Bible and I cannot say enough about it. This is the finest bible I have ever owned. 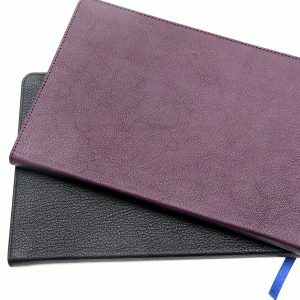 The rich goatskin cover is soft and wonderful. The pages in this bible are sumptuous, beautiful, perfect, flat, flexible. The print quality and choice of font is excellent. The extra plus, if you could ask for anything more, is the red text used for chapter number – and especially the footnote cross reference numbers in the cross-reference blocks. 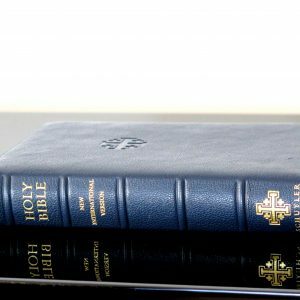 In most bibles you have to visually sift through a block of small print to find the notes for the verse you are reading. Not In this bible, this verse number is in RED TEXT – and it jumps right out at you. 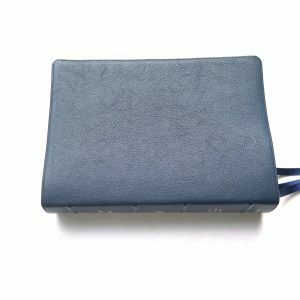 If you are comparing this to something like an Allen classic reader, here are some differences. The Allen, is thiner, being a reader, and its aroma is almost intoxicating – but the INSIDE of the Quintel is far nicer in my opinion. I do like the slightly smaller font size in the Allen classic reader. The larger font size of the Quental makes it great for use on the pulpit. 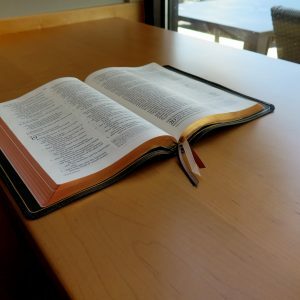 They could drop it a point or two – the bible would be just as readable, and you wouldn’t be reading down so many line breaks for a given amount of verses. The font size in the Allan classic reader is PERFECT. Even with the center cross-reference column in the Allan, more words still fit on each line due to the smaller (and 100% perfectly readable) font size. Be aware that at the time of this writing, Allen is having terrible quality problems with the classic readers. You may not be able to get one for a while. 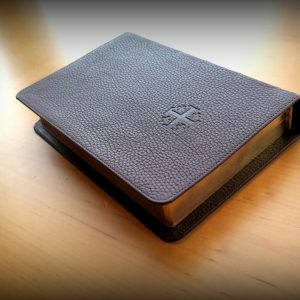 I own several “premium” Bibles, but the quality of the Quentel easily surpasses them all. For that alone I must give it 5 stars. 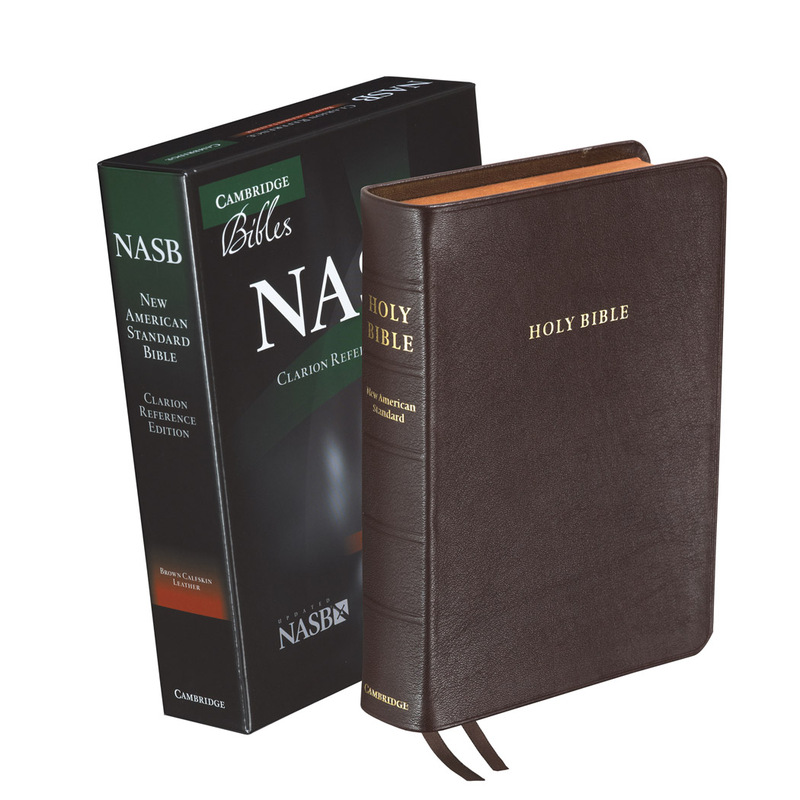 I have both this Bible and the personal green NASB. This is the finest goatskin I have ever seen. It is thick and strong yet soft and supple. The bible lays flat and opens in the hand like butter. It is from a aesthetics POV a perfect bible. The text block is well stitched and is constructed as well as I would expect from a $200+ Bible. The readability on the off white pages is topnotch the text size good and practical. My Schuyler Quentel in purple Goatskin has arrived, thankyou Kathleen , what a beautiful Bible and the quality is awesome. I feel very blessed by God and will enjoy using it in church, the font is lovely and so clear to read.